Macon is once again a prime location for filming Hollywood movies. "We&apos;re just very excited to have another movie coming here following Trouble With The Curve, 42, Need For Speed, we&apos;re gaining a reputation not just being film-ready but film-friendly," said Chris Floore, who works in Public Affairs for the Mayor’s Office. Besides Macon&apos;s film-friendly atmosphere, the local economy is sure to benefit from the influx of people working on the movie project. "Based on the length of time the production company will be here, there&apos;s certain number of hotel rooms they&apos;re going to need...they do pay extras, catering services, security, art department, a lot of things they are going to be buying and purchasing here locally," added Floore. The Mayor&apos;s Office believes guests will spend $400,000 during filming, something the Macon-Bibb County Convention And Visitors Bureau said is a good thing. 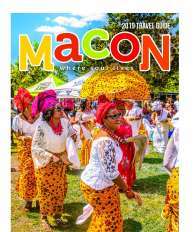 "It&apos;s a chance for area businesses, our restaurants, our hotels, to have people come in and just be able to see our city so we are really excited about the opportunity for people to come in and just see how great Macon is," explained Valerie Bradley, Director of Communications for the Macon-Bibb County Convention And Visitors Bureau. Some streets of downtown will be closed during filming, around Cotton Avenue and Second Street. "We&apos;ve been working very closely with the production company in the past several weeks to identify what they need and how the streets will be closed down, we have put a map online of where and when the production company will be closing the streets, not just to film, but to set up and break down certain portions of the set," detailed Floore. Most filming will happen at night but drivers may still experience delays. "It&apos;s a great opportunity for us to be able to promote Macon, to be able to tell those visitors that these movies were filmed here and exactly where they were filmed," added Bradley. If you want to find out exactly what streets are closed at what times, click the link below.